This was the return business flight QF769 which I previously reviewed. I originally booked a very cheap economy seat back in January an immediately requested an upgrade to Business Class for both flights. The A330-200 offers a great pod business class seat, with the option of a fully reclined bed setting. While I didn’t use the fully flat seat it would be great for the red eye overnight flights back to the east coast. The business seat is actually better than most 6-7 hour international flight business seats. You even have to wear a seat belt and a sash belt (a belt that goes across your chest). I selected a window view seat at 2A. All Qantas Business Class seats on the A330-200 offer direct aisle access so no climbing over another passenger which is a great highlight an makes it easier to get up and walk around. The business seat / pod had a pillow and blanket waiting for me upon boarding using the priority lane. I was was offered a water not long after taking my seat. 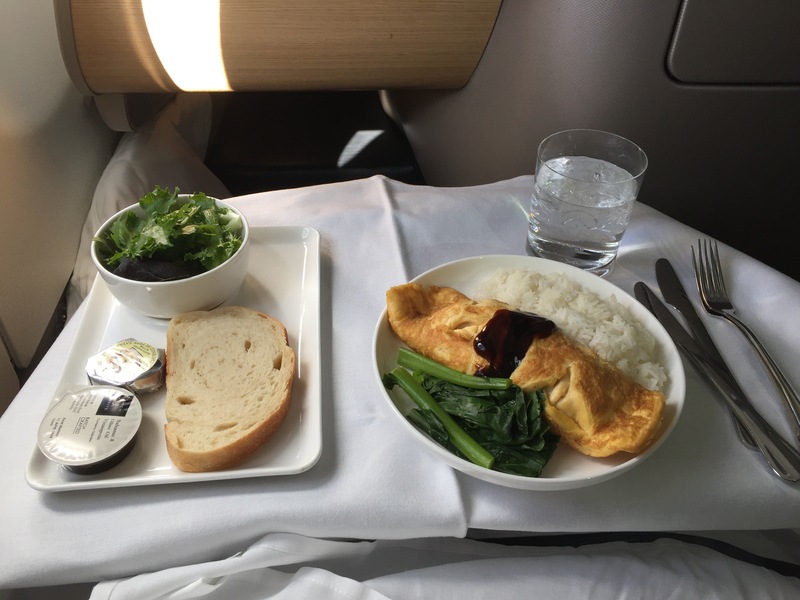 The cabin steward personally spoke to everyone in business class after departure. The business section appeared to be 100% full, not bad for a noon flight. Departure was delayed a few minutes as boarding seemed to take longer than expected. 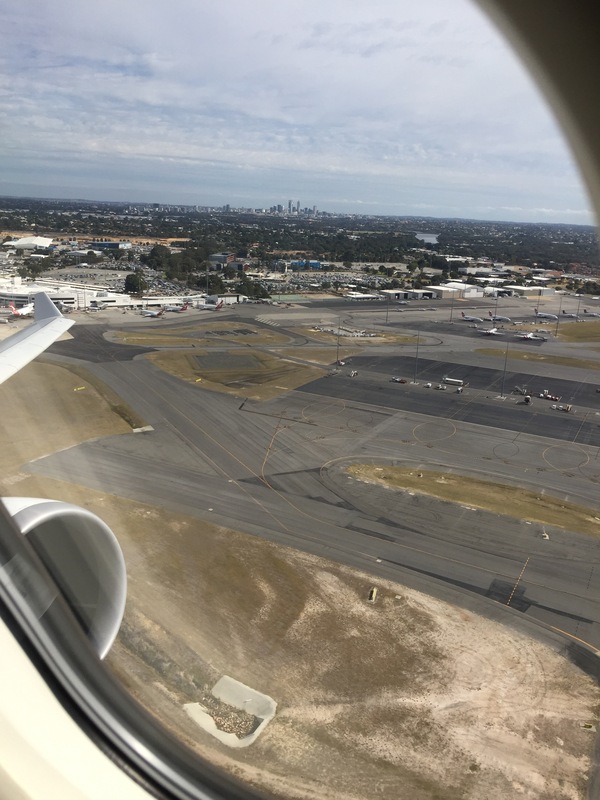 As a business class passenger I boarded using the dedicated business / Gold / Platinum Member lane which works well in Perth (but normally fails in Melbourne). This time I used the USB to charge my iPhone and power point to charge iPad. Take off was smooth and provided a great view of the airport. I selected the BBQ pork omelette which was excellent. 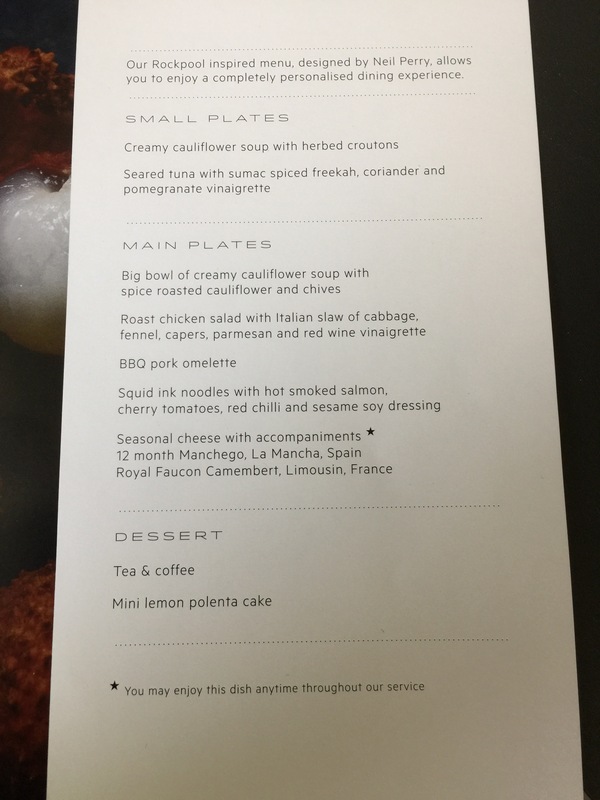 I also skipped the Dessert option having filled up at the Qantas Business Lounge which I now regret as the Mini lemon polenta cake looked great. The seat / pod has a large touch screen (for a plane) for the entertainment system. I selected ‘Patriot’s Day’ which I rather enjoyed. The business class headset provides great sound. The leg room is fantastic in this business seat / pods. I found the cabin crew were not very attentive to all business passengers not that it concerned me but usually I expect the crew to be looking for ways to assist / help business class passengers. There is only one forward toilet for the business class. The flight landed a few minutes early on a wet day. I left the plane very happy with my points upgrade selection. 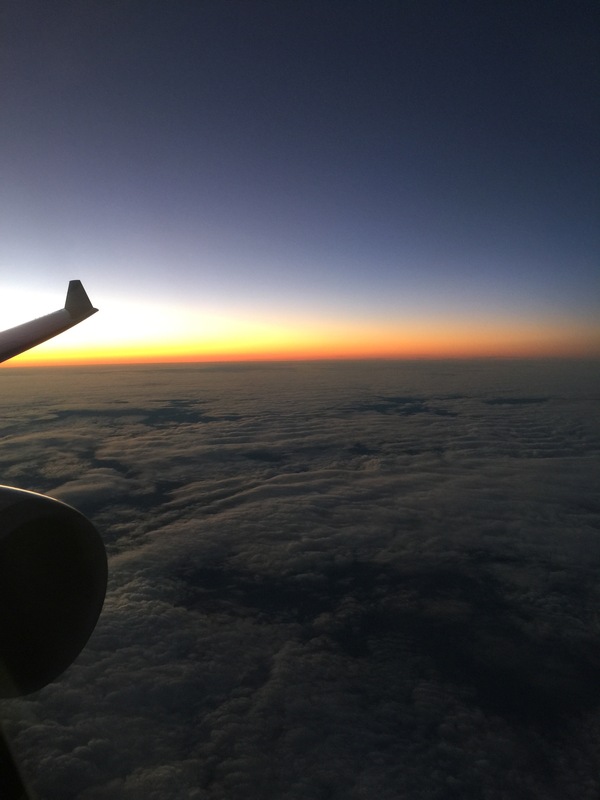 This entry was posted in Short Breaks, Travel and tagged Airbus 330-200, Qantas Business Class, QF476. Bookmark the permalink.